I try to live every moment of my life zestfully. I relish the place I am in with my age, marriage, with my children—and now with my passion projects; podcasting and writing! Something has changed in me; I can enjoy the sunrise more, I can hear the birds singing, I wake up every morning alive and excited to accomplish tasks in the day. I have a zest for living that I had not had in years! Honestly, I may never have had this kind of perspective of living! Again, I sound like a cliquish, but it is true. If there is one part of this month that I wish to inspire other with regarding these blog posts, podcasts, and eventually my published works—step out into your creativity. Jump on the path and fully embrace & enjoy the journey. If you are already on the journey—stop for a moment and excises mindfulness, write about what you learned along the way——and most of all, share what you have learned with others! I do believe when people stop listening to the critic in their mind and distance themselves from the unsupportive individuals around them, they can thrive in a creative lifestyle. I am not one hundred percent there yet. Every day is a new part of the journey. But I do not wish to miss one moment of this life! I have come to the end of the monthly A-Z blog challenge. I desire that they inspired others to follow their journey, authentically! In the months to come, I will continue to post what I am learning. It will only be weekly posts until next April. I may do the A-Z Challenge again. It has been insightful. The final question this month, have you been inspired to start or restart your journey of creativity? 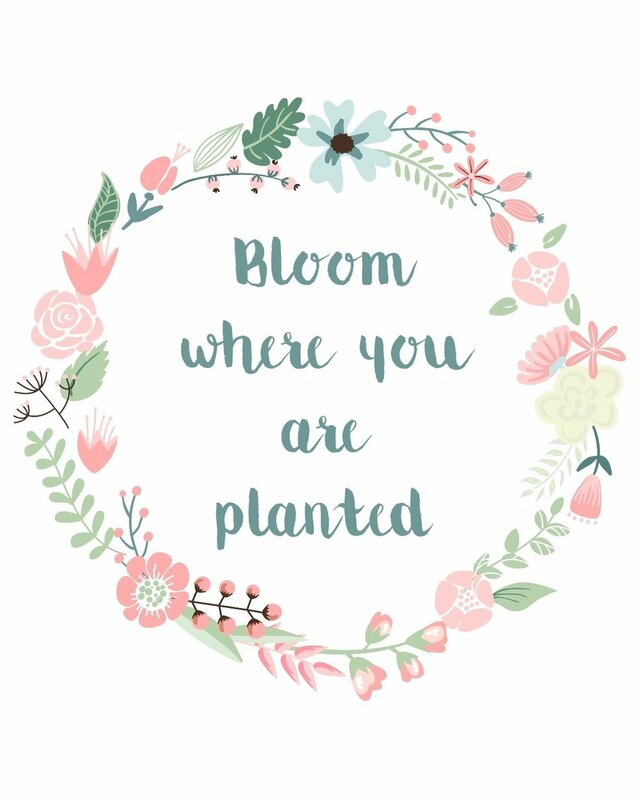 "Bloom where your are planted:" how to thrive when you feel stuck!